To prepare for the season of hunting means a good choice of clothes. There will be no time to look for a right one jacket in the shop as you are going to spend days in the forest holding a gun or sitting by the lake. Sometimes manufacturers pay special attention to the way product looks like and forget to consider the fact that it has to be comfortable. Moreover, some of them strongly believe that in the jacket of the orange color it would be easy for a hunter to hide in the reeds or somewhere else. However, it is not a big deal for a real good hunter as he definitely knows what he needs. Newcomers may be confused choosing a hunting jacket and to define what clothes is more useful. The main purpose of the hunting jacket is to protect from any weather conditions and to mask a hunter from animals. There will not be a shelter to hide which is a few kilometers away, that is why to have a good jacket is extremely important. Selection of the jacket depends on the model which may have additional features. All the materials have to meet the necessary requirements and to stand out with its strength. The most inherent qualities of the jacket are high wear resistance and the resistance to the damages. Usually, jackets include pockets for radio and cartridges. The availability of the pockets is what makes hunting clothes special. The great variety of textures, colors, and materials complicate the choice of the good one jacket. However, we made a list of top 12 hunting jackets and answered the typical questions on how to select this type of clothes. The Downpour jacket was made to provide absolute dryness in a wet weather. It doesn’t take a lot of space, so whenever breaks in the overcast will give sunny periods, you easily can put it into the backpack. A special technology of the fabric which is brushed provides silent movements even when it’s hard rain. The jacket provides total protection from the wind and the rain. The fabric guarantees absolutely breathability. There is no difficulty to articulate with the arms fully free. It allows any movements you need during the hunting. The invisibility of the jacket and protection from damages are up to 100%. 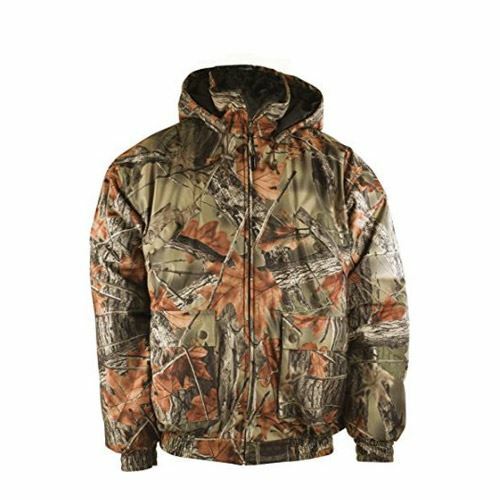 Whenever you’d like to go hunting in this jacket, especially in the mid-season, it may be too hot and uncomfortable with the hood which you can’t zip off. The North Mountain jacket consists of the front zippers, 2 pockets and the attached hood. The cuffs are able to stretch and to return to its original size. If needed the hood can be tightened with the drawstrings. The texture of the jacket reminds artificial leaves that make the camouflage to put out of a sight the most excellent way. The jacket is of a high quality and it copes with the difficult conditions during the hunting. 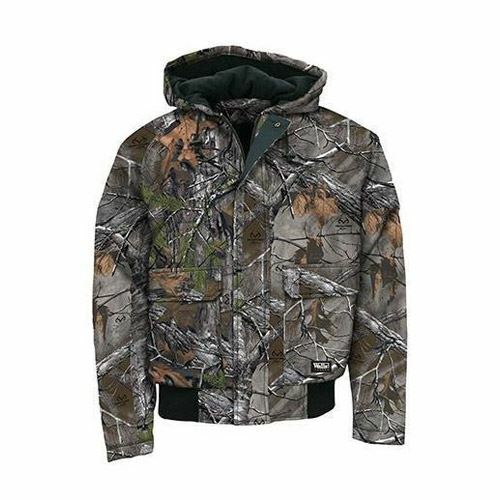 The jacket may not suit every hunting condition as the shell of the jacket has rather thin layer. 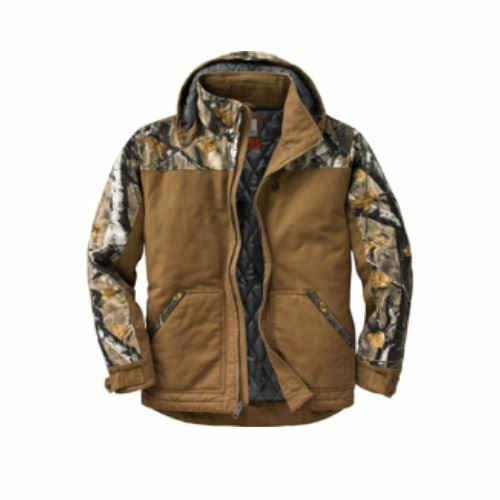 The Legendary Whitetails hunting jacket is made of durably materials to help hunter stay warm. The jacket includes heavy-duty 10-oz. sanded canvas washed down to provide a loose, full-cut fit that would be comfortable to wear from the very beginning. 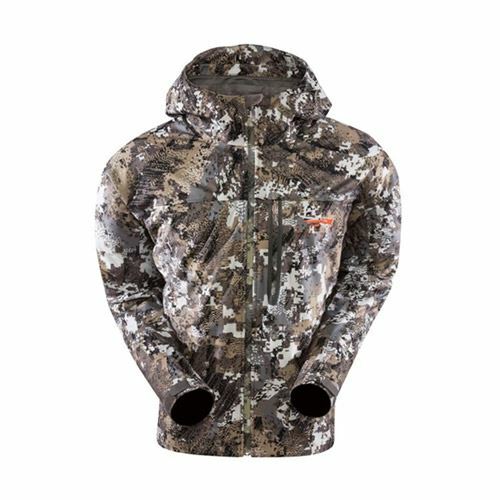 It comes with 210 grams of insulation so the hunter’s body won’t be cold during the hunting in any weather conditions. Hunting jacket has a heavy-duty zipper for the front closure. Detachable hood easily comes off when to free the neck. This hunting jacket provides double interior pocket to keep small necessary things. The jacket shell is made of cotton while the lining and fill are made of polyester that protects good enough. It comes with a Camo pattern that lets hunter to stay unnoticeable. The inner pockets do not include zippers, so the things hunter store in them may be lost. The Full Season Taktix features a unique system that combines high-quality, durability and comfort. The jacket is equipped with unmatched Carbon Alloy technology and Never Wet technology to make it as more effective as possible. Carbon Alloy technology absorbs maximum odor. NeverWet technology is hydrophobic coating that repels water, mud, etc. It is custom fitted to keep sidearm secure and available. DuoTone technical overlay panels enhance concealment. There are two zippered waist pockets and two lower side pockets. There’re hidden snaps for additional storage. Stretch fit cuff panel makes fit secure. The jacket doesn’t properly protects from water. Walls jacket is made for hunters who like to spend all their free time in the woods. A comfortable jacket with the hood and drawstrings to drag out over a hat if needed. A good one insulation totally protects hunter from the wind and cold that you can wait for a couple of hours without freezing. The high neck protects from the wind. For the lovers of the active recreation, there are outer and lower pockets which can be easily popped. The bottom of the jacket has a tight rubber band with the pop at the end of a zipper line. The sleeves are free to move and straight. Except hunting it also great to wear it in urban style. It is a very practical choice for the rainy and cold weather. The jacket resists any precipitations and the wind. Due to the hood consists of 3 layers and the jacket is fully insulated the waterproof function is not totally observed. This suit by Arcturus Camo Gear is a costume of the new generation. It consists of 3 parts: the hood, jacket and the pants. This costume is made according to the last technologies that allow moving smoothly and free. 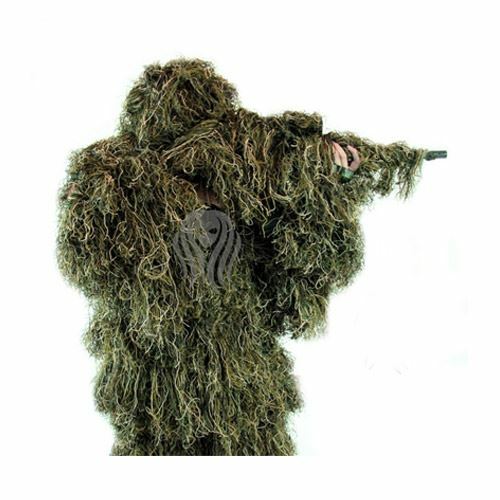 There’s nothing to worry about that something can go wrong if you wearing this ghillie suit. The mix of special colors makes the suit more difficult to be noticed. The hood is equipped with a mesh insert that doesn’t cause a bad overview. The jacket has buttons to pop it. There are puffs to tighten the waistband. Also, it resists the moisture and high temperatures. It can reflect the sunrays and adapts to any surroundings. Choosing such a costume depends on the hunting conditions and its type as in the particular occasions it may be difficult to hunt. 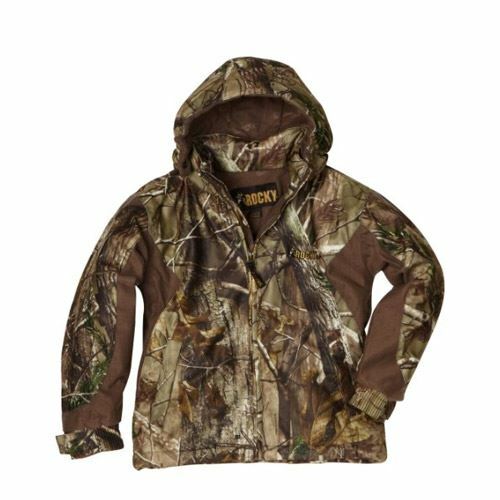 The Rocky Boys jacket provides hunters with a good protection and guarantees a successful hunting. It is light to wear and quite enough. The polyester fabric insulation protects from the wind and cold. It is easy to customize the fit to the body with the adjustable cuffs and the waist. The highest level of the water protection keeps hunter dry anytime and provides good breathability. This hunting jacket is made for rainy weather conditions. The hood is popped and removable. At the bottom of the jacket, there are adjusting drawstrings. Sleeves also have the elastic stretch that protects from the wind. When the water rolls down the jacket, it won’t get inside. This way it makes you feel comfortable despite the bad weather. 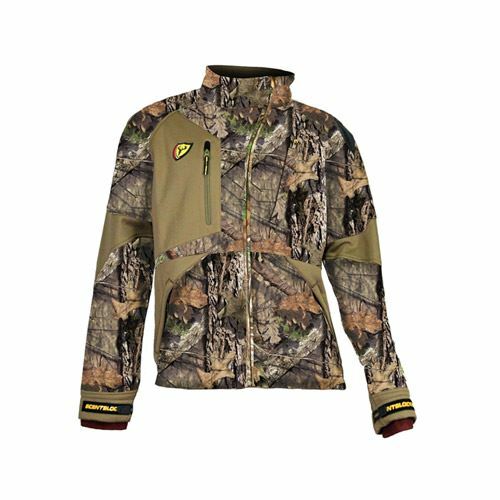 If you are looking for not only comfortable and water resistant jacket but the jacket which allows moving quietly then this is not the good one silent option for hunting. 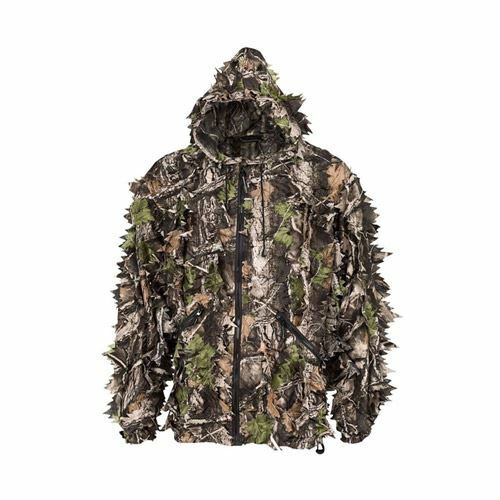 This jacket with an awesome 3D effect of the real tree leaves makes a hunter invisible in the forest’s thicket. The Trail Crest jacket provides wonderful waterproof function and absolute comfort. 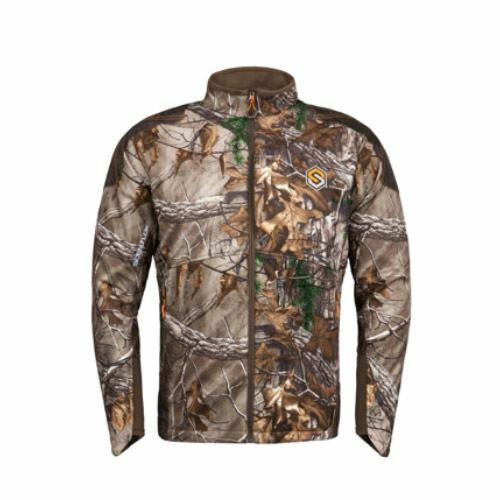 Extremely soft and quite jacket will make hunting much more enjoyable! It is made of noiseless and wear-resistant fabric that lets your skin to breathe. It has an easy removable hood, the elastic cuffs and the waistband to protect from the wind, spacious lower pockets. Such a jacket can be a great choice for the fall-spring hunting season. The pockets that has snap down flaps after a while may fall out that doesn’t make it safe to keep the necessary small stuff in them. 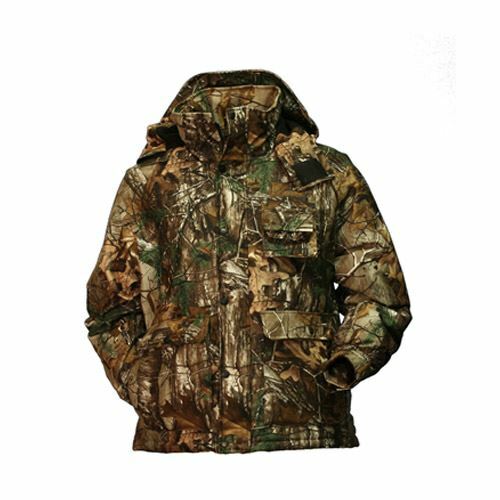 Lite Puffy is a great camouflage jacket not only for hunting but for hikes, expeditions, and fishing. It will cope with the cold weather and suits for both – active and wait hunting. The skin breathes in the jacket due to the Cocona’s technology and it doesn’t let to get stinky. Wear an extra warm layer of clothes and you are ready for the best hunting season in your life! The jacket with the hood that fastens with a zipper protects your neck and head from the wind, cold and water. It produces a very high masking effect. The fabric is made of the soft, waterproof, light, but durable materials. It has insulation, so it’s suitable for all seasons. Those who prefer feel comfortable especially while hunting; they can be confused with the jacket’s high neck, which may draw the attention away from the target. Kryptek jacket 100% waterproof and extremely breathable that let the hunter to survive in the extreme conditions for a long period of time. Stretchy fabric material provides free movement and has a quick-dry performance. It is water and wind resistant, has insulation inside of it. A few layers still allow feel comfortable and not overweighed. Zippers for the extra ventilation under the arms won’t let to overheat. Pockets on the chest easily contain the cell phone, keys or map. Even zippers on the jacket are all waterproof. If needed the hood can be removed. The protected cuffs with the elastic may not suit those who have big hands as it is too tight. To stay warm and dry is possible with the Gemehide jacket. It is mid-heavy with a good quality of insulation. The soft fabric allows to do the same movements, avoiding clinging to the underneath clothes. Such parka turns out to be a solid hunter’s choice! It keeps you warm with the underneath insulation. The fabric of the jacket is smooth and resists water. It definitely won’t make you feel uncomfortable while moving. The jacket fastens with a zipper, and for additional protection, you can use the pops. The cuffs can be regulated. Protect the neck also helps fastener with velcro that is a part of the detachable hood. The nylon material is a synthetical fabric which doesn’t allow rather quite movement. Moreover, according to the information of manufactor the jacket doesn’t have total waterproof, but “queit”. Don’t be scared to go hunting in a rainy weather because this jacket provides the excellent protection. There is no other good brand than the Badlands if the jacket has to be 100% waterproof and enough breathable. Due to the Bio-shell materials you will stay dry and have a great protection ever! It is easy to dry the jacket out or wash if needed. 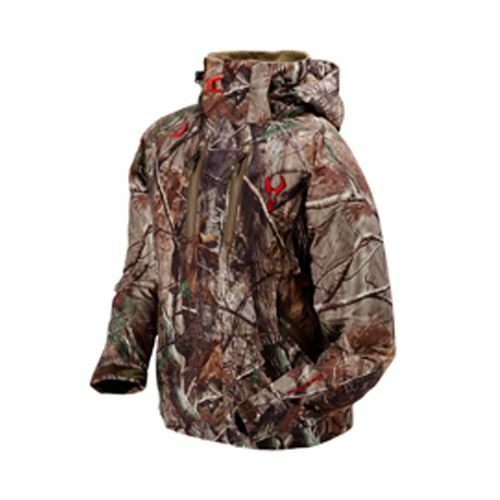 The jacket provides hunter rather comfortable movements and with the breathable fabric. Four zippered pockets are included. It is possible to regulate the cuffs to the optimal size. There is a hood with the elastic drawstring that you can tighten and which protects from the windy weather. The outside temperature when you can wear this jacket can reach over mild but you definitely won’t wear it when it is extreme low temperature. So as a mid-season wearing it can be a good choice. The recent customers’ comments claim that this Alpha Camo jacket may be not as quite as preferable. 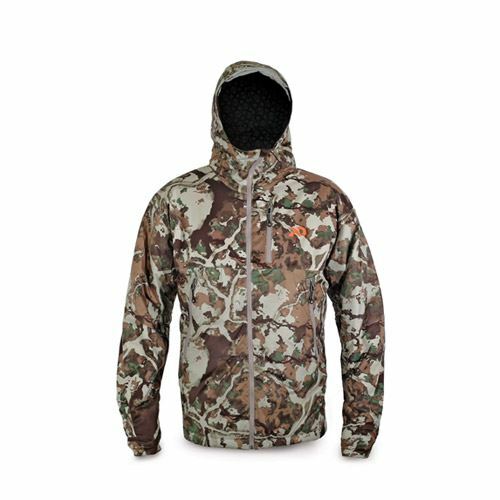 The Scent Blocker jacket suits for a hunting in the midseason. It will let you to keep normal temperature of the body. Moreover it is able to fight the odor. Don’t think about the wind or rain as this jacket will definitely protect you. There are patches on the shoulders that prevent slipping of a backpack or a gun. Also, there are 4 functional zippers on the chest and lower pockets. 3-layer jacket has the strong resistant qualities and provides a good condition over a long time. The additional comfort for the jacket adds the smooth fabric sleeves. A special shell technology allows moving quietly and with the ability to bend easily. If you like to be fully protected then this may be not the best choice for you, as the jacket lacks the hood. When you are trying to determine the best hunting gear for rainy conditions, you also have to consider what conditions you are hunting in. Consider the pros and cons of each item before you make a selection. The most important factor for rain gear is the materials used in them because each material may not perform the same way under rain as other materials do. Polyester, for example, is known to be very strong and abrasion resistant, which retains its shape to lock in warmth and keep cold or rain out. Since polyester does not allow as much air through it, it can be considered less breathable than other types of fabric, which makes it best for use on your outer layers. Most often, polyester locks out water, so this makes it very waterproof. You need breathable materials on the areas nearest to your skin because you will tend to sweat while wearing heavy clothing, even if it’s cold out. Light fleece works perfectly when it is your inner layer because it is smooth, flexible, cool and comfortable so it won’t catch on your outer layers and will feel great on your skin. Some brands will use a better quality of polyester or other materials and may even have created a special trademark technology that other brands may not use. 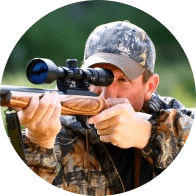 You will want to closely consider what those technologies were extensively built for and how they are going to make your hunt easier. For example, the special brush faced fabric on the Sitka Gear Downpour Jacket was made to conceal the sound of water hitting you. This helps you out because deer will be less aware of you so you don’t have to be as cautious of movements you make. So considering the special technology behind the fabrics when you choose rain gear is definitely noteworthy. The materials used are one thing, but if openings are not wisely oriented on the clothing, they become useless and just let the rain or the wind in anyways. The last thing you want to have when you’ve bought rain resistant hunting gear is to find the water seeping into your inner layer. A lot of hunting gear will have special vents, zippers or removable hoods. Since these are all openings for water to get in it is a wise idea to keep them protected. For this reason, some clothing has flaps concealing the seams. The flaps will deflect water over or away from the seam so that it does not get into your inner layers. Also make sure that you know that the flaps were made of quality, because if they aren’t they will tear and rain will get in anyway. Make sure your seams are well guarded and you will keep dry much longer. The first line of protection is always the most important when it comes to rain resistance. Sometimes the environment you’re hunting may require extra warmth and other times it will not. Choosing rain gear with or without insulation is completely up to whether or not you need it. If you are in a more tropic or humid area, you definitely do not want to get rain gear that is already insulated because you will sweat and become too hot. The XTACER Multi-Use Poncho may be perfect for humid environments because it’s arms and legs are open for air to freely move through while it also shields rain from you. Cold climates will make rain drastically colder than usual. In this case, you will need extra insulation to keep your core warm because the air and water are both colder. 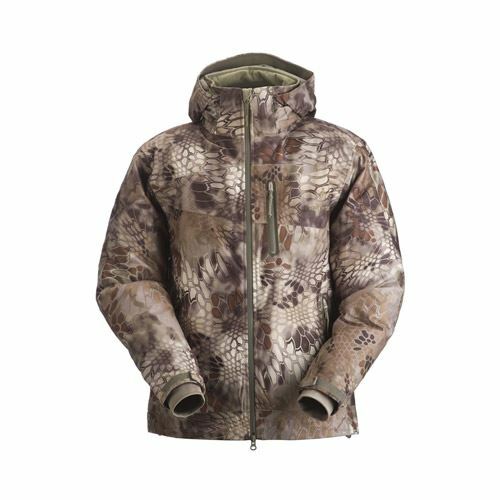 The Rocky Boys Pro Hunter Full Zip Insulated Parka is specifically designed with added insulation for especially freezing rain situations and will keep you very warm. Depending on if it has insulation or not, they may also have special zippers inside so that you can take the insulation out when you don’t need it. So if you consider the climate and hunting season you will be hunting in, you will be able to more easily pick rain gear for hunting. The weight of your rain gear will have a special role in your level or personal comfort. A heavy weighted clothing will normally make it harder to move through your environment and usually be warmer than a lightweight option. Pockets, additional insulation or hoods will add weight to each article of clothing because it uses more material. Lighter weight rain gear will usually provide the base amount of rain protection without any additional features and will be easier to move in. This decision usually is completely up to the environment you are hunting in and whether or not you will be moving, so consider what you will be doing. Camouflage is a very important factor for reducing the chance of your game animal detecting you. By breaking your outline up in your environment, camouflage will more easily blend you into your surroundings. When trying to choose a camouflage pattern and color, you need to consider what environment you are hunting in. When hunting on a treeline that has very lush vegetation, choose color variations of light green to very dark green with patterns resembling the trees and bush’s leaves. Digital or Flecktarn patterns look very good when paired with vegetation. While being under forest canopies, choose camouflage colors of gray to dark brown with tree bark or dead branches. Real Tree or Mossy Oak offer excellent options for woodland camo. For desolate areas without vegetation or trees like grass or desert, you should choose patterns of camouflage that break your outline up and are of a similar color to your terrain. Digital or python camo patterns work great for these situations. So with every given factor and choice of gear, you will still have to make your own decision. We hope that the information and considerations will drastically help you in making your final choice.